Kevin's Woodcrafts Pens: Would you like to buy a hand turned wooden pen? I live north west of Houston Texas but grew up and went to college in Wisconsin. I work in the computer industry, and am a very active 4-H leader. My primary hobby is woodworking and I sell wooden pens. I also enjoy reading, casual bicycle riding and camping. 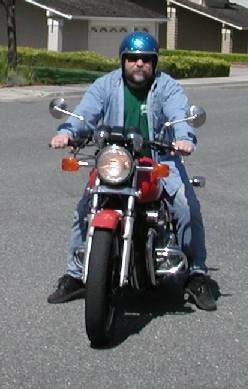 I am an amateur mechanic and work on my motorcycle and cars all the time. Is the picture really the way I really look? Well, not always but you never know what to expect.